As of late, reports have come in from all over the globe concerning large cylindrical objects falling from space unidentified. Although many debunkers and experts are assured that these mysterious objects are nothing more than mere rocket boosters, missiles, fuel tanks or “space junk,” other Intel proves otherwise. Can we expect more of these sightings to occur in frequency? 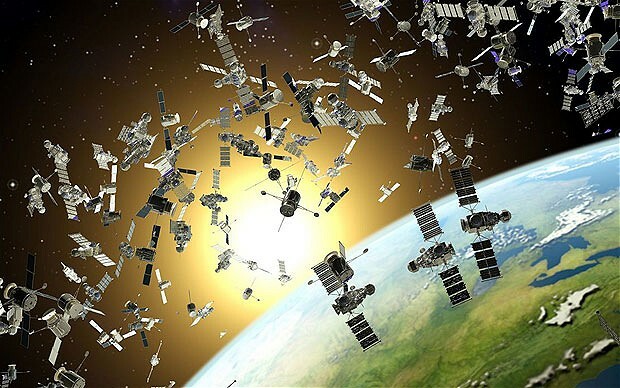 If this is nothing more than junk floating around space, are there any dangers in the future where larger and more dangerous pieces might destroy small towns or even damage infrastructure to metropolitan areas? If they are indeed fuel tanks, what does this say about the integrity of our technology in space? Can we make something that doesn’t fall apart? Whatever the case may be, investigations on the prevention of this debris must be dealt with action be taken now. Many countries like Brazil, Namibia, Russia, and India (back in 2005) experienced a “ball of fire” fall from the sky and land in some remote area scaring townspeople. All of the townspeople have the same description more or less concerning the size of the object: as a small cylindrical metal sphere that when impacted with Earth, made a loud boom and shook the ground. For the Brazilian incident that took place two months ago in February 22nd, 2012, the small village of Riacho dos Pocos was affected in the state of Maranhao. The event according to sources caused huge panic as a ball-shaped object about 30 kilos and one meter in diameter, smashed into the ground. One witness firsthand by the name of Jose Valdir Mendes actually heard the sound of it roaring through the air and causing an explosion near his home a few seconds later. Afraid to leave, his curiosity finally got the best of him as he viewed the object sitting in his garden outside his home. The ball was said to be hollow in nature with a small hole in it. The townspeople stated also that there was something hidden inside the ball, as they tried to pick it up and shake it hearing something moving inside. Now its publicity has spanned across many towns nearby and is stringing a wave of tourists coming to view this space object. Local professor Max Garreto originally thought it was part of a space satellite, due to the same event that happened in Namibia last year in December 2011. NASA experts claimed that the Namibia incident was nothing more than a 39-litre fuel tank from a European booster rocket. If this was the case, what was the object filled with? Both incidents stated that “something” was inside; as far as the identification of just what has yet to be released by the government agencies. If these were indeed fuel tanks, the impact would of cause more damage than craters in the ground if full of something. The idea could be true, but something doesn’t add up. Another speculation that the object was part of the satellite launch in Kazakhstan has also been denied. The discoverer of the object Sergey Bobrov wanted to do his part to keep the UFO safe, however local police have stated that the object was under guard in an unknown location. The investigation should be interesting in the months to come on the identification of this mysterious sphere. Experts have yet to assess the danger of the event that one of theses objects falls into an actual populous area. Whether or not they are alien, they propose a serious situation in the safety of human and ecosystem habitats. Could we perhaps use the technology we have to detect anymore falling objects before they cause damage? Could the Russia really have a UFO in their possession? It is true that any UFO disclosure done outside of the U.S. receives a different type of media coverage and importance. When a mysterious sphere crashed in Colorado in 2011, the government was quick to clean up and pin the culprit on a “booster rocket” before any public investigation was made. Living in the U.S myself, the mass media does portray world news in a different light than if one was living where the event actually happened. Overall, I do not believe this will be the end of these mysterious cylinders falling into our atmosphere causing a stir. The only thing I do wish, is that something is done to prevent possible damage to an area that might be the next target crawling with life. As far as the origins of the Russian object, only time will tell when disclosure will finally open our eyes to a brave new world with intelligent life beyond our own. “Strange object with something inside falls down from space in Brazil.” Pravda.Ru. Feb 24, 2012. english.Pravda.ru/news/science/24-02-2012/120593-space_ball_brazil-0. “It fell from the sky’: Russian experts investigate ‘UFO fragment’ which crash landed in Siberia.” March 22, 2012. mirror.co.uk /news/world-news/ufo-fragment-crash-lands-in-Siberia-768866. Space Staff. “Mysterious ‘Space Ball’ Crashes in Namibia.” Space.com Canada. Dec. 22, 2011. Zeenews.com. “Namibian ‘space ball’ turns out to be a fuel tank.” Zeenews.com India. Dec 26, 2011. Mark Molloy. “Russian space experts investigate after ‘UFO shell’ crashes in Siberia.” The Metro U.K. March 22, 2012. Are UFOs hovering over the Eagle Ford Shale? UFO MOTHERSHIP: NASA SOHO Satellite Captures Mysterious Giant UFO Surfing Near The Sun? !